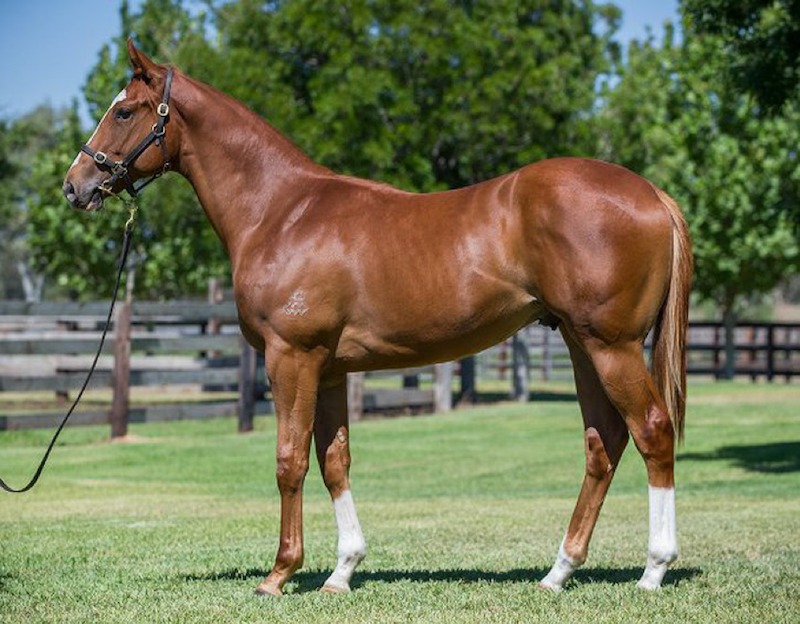 Swettenham’s popular stallion Toronado attained his first winner in Australia when the two-year-old Powertrain had a stylish debut win over 1100 metres at Scone Racing Club. 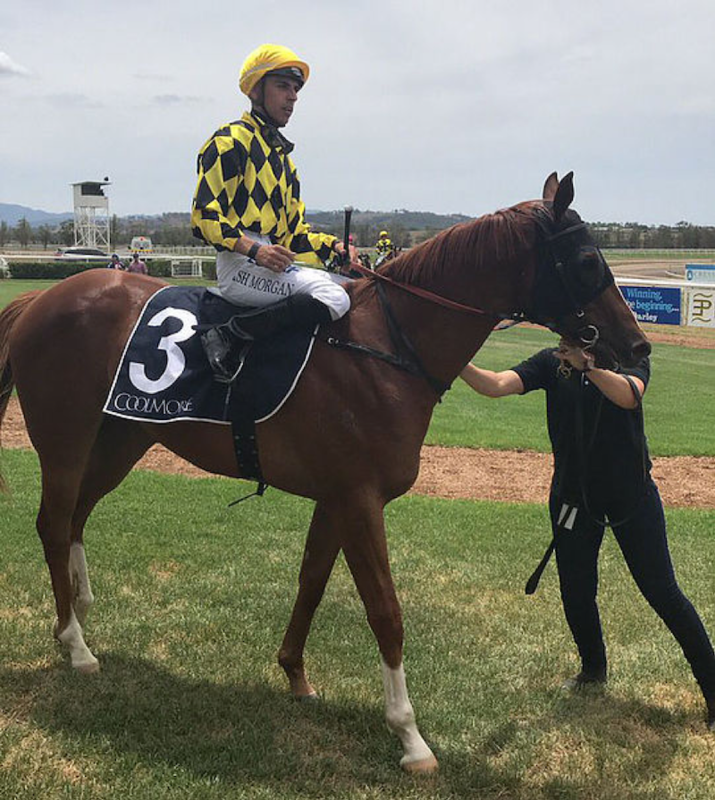 Saluting in the iconic Arrowfield colours and prepared by local trainer, Paul Messara, Powertrain was given the perfect ride by in-form jockey Ash Morgan for owners Arrowfield Stud, Redbank Pastoral, and Alan Jones’ Belford Productions. Racing over 1100 metres, Powertrain jumped well and travelled under his own steam to take the lead, but for Swettenham Stud’s Adam Sangster, he was most thrilled to see him emulate the style of racing made famous by his sire. Sangster has followed Powertrain’s progress closely since a foal, with the promising galloper now coming into his own. Messara will now look to push on and aim for some stake’s races in the Autumn for Powertrain, provided he has come through the race well. “Being out of a Not A Single Doubt mare, he is probably bred to go to 1200 to 1400 metres, potentially even a mile, rather than stick to pure 1100 metre contests. He is the perfect late two-year-old, 1400 metres horse,” Sangster said. Powertrain’s dam, Push and Shove was purchased by Arrowfield as a yearling and was sent to Swettenham in her first year at stud. She is a half-sister to Group 1 performer and listed winner Raceway, out of the Flying Spur mare, Claws. “Arrowfield are good supporters of Swettenham, and it is great that John Messara is supporting Victorian studs and stallions. He has a huge amount of faith in Toronado himself,” Sangster said. While as his name translates, if the chassis is the skeleton of a car, the powertrain is the musculature system. The powertrain encompasses every component that converts the engine’s power into movement. Perfectly named, he certainly had the bigger engine and the most horsepower on the line! EARLIER POST: Greta West’s Autumn prospects, ticking along nicely!